侦探韩（JUNG Woo唱），他多年来一直秘密的腐败市长Park Sungbae做肮脏的工作（HWANG Jung民），现在迫于无情的检察官Kim Cha（郭某做赢得）在调查反对市长合作。感觉困，汉劝他年轻的搭档Sunmo（JU Ji hoon）来接替他的工作的市长，但事情开始变得纠结在不可预知的方式。当事情越来越糟糕的情况下，只有最邪恶的生存在这个狗吃狗的世界。Detective Han (JUNG Woo-sung), who for years has been secretly doing dirty work for the corrupt mayor Park Sungbae (HWANG Jung-min), is now pressured by a ruthless prosecutor Kim Cha-in (KWAK Do-won) to cooperate in an investigation against the mayor. 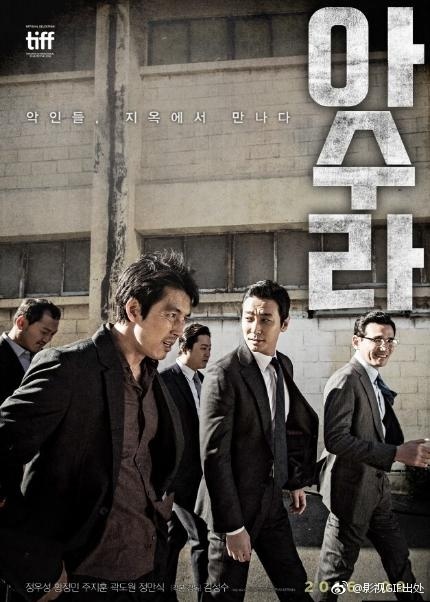 Feeling trapped, Han persuades his young partner Sunmo (JU Ji-hoon) to take over his work for the mayor, but things start to get tangled in unpredictable ways. As things are getting worse, only the most evil survives in this dog-eat-dog world. GMT+8, 2019-4-21 10:26 , Processed in 0.064336 second(s), 25 queries .